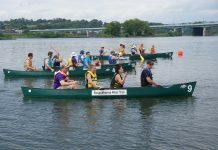 The 5th annual Women on the Water Festival will be celebrated June 8-10, 2018. 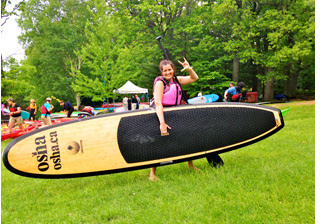 More than 120 female kayakers, canoeists, and stand-up paddle boarders are expected to gather on the banks of Lake Huron June 8-10 to participate in one of Canada’s largest all-female paddling events, Women on the Water Festival. This fifth annual event aims to provide females the opportunity to learn and upgrade their paddling skills through professionally-led workshops, forge life-long relationships with other women in the paddle sports community, and spend a weekend immersed in the beauty of the Georgian Bay. The co-sponsors of the festival, Wild Women Expeditions and Ontario Sea Kayak Center, have put together a team of Canada’s most competent female kayak, canoe, and SUP coaches to instruct the festival’s numerous workshops and clinics. 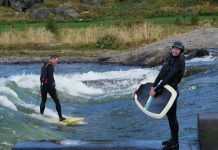 Participants will spend Saturday learning and honing in on various paddling skills through a workshop of their choice. All paddle interests and skill levels are accommodated by the following workshops: beginner and intermediate kayaking, all-level canoeing, and beginning and intermediate stand up paddle board. 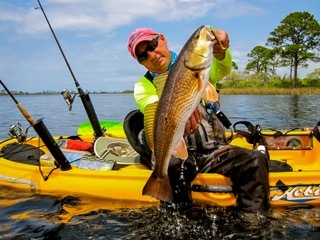 Sunday will include paddle tours, instruction based on video feedback, and a dryland session titled “Navigation and Weather in the Wild,” which will focus on building judgement skills on the water. The total cost of the festival is $395CAD per person, which includes accommodation on Friday and Saturday night, all meals, use of boats and paddle gear, two days of paddle instruction, and additional sessions and activities. The festival will be held at Camp Tapawingo, Parry Sound, Georgian Bay Ontario, which is just a 2.5 hour drive from the Toronto airport. If you can’t swing the early June event, no worries! Wild Women Expeditions will host two more female paddling events: West Coast Kayaking Skills and Paddling Adventure (June 25-29, 2018) and Women’s Paddling Sports Retreat (August 3-6, 2018). The three-day Women’s Paddling Skills Retreat includes three days of paddling instruction, meals, three nights indoor lodge accommodation, river access fee, a ½-hour massage, wine and cheese tasting, use of yoga pavilion and sauna and boat and paddling equipment. The per person rate is $1,080CAD. Instruction focuses on whitewater canoeing and kayaking and calm-water kayaking. The location is a wilderness resort built for paddlers (Madawaska Kanu Centre) on the Middle Madawaska River in eastern Ontario.